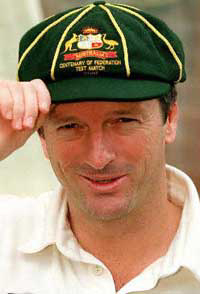 Former Captain and great Batsman of Australia Steve Waugh is also not happy like other Former Australian officials and Cricketers on rejection of Former Australia Prime Minister John Howard as new President of ICC by Asian Cricket Boards in ICC executive meeting in Singapore. Steve Waugh said in interview that Rejection of John Howard as ICC President is a shame and condemn able. He said John Howard as passion for Cricket and not making him ICC President is a bad luck for the Cricket. Before Steve Waugh many other Australians also condemn rejection of John Howard. The Truth is that Australians are not happy seeing Asian Cricket Block getting stronger and wants to role the ICC. Steve Waugh also said in interview that its right time to start day/night test matches.